Modest Mouse has been on a strange journey. It’s been nearly 20 years since their debut album This Is A Long Drive For Someone With Nothing To Talk About, a decade since their breakout hit “Float On” stormed the charts, and 8 years since their underrated last album We Were Dead Before The Ship Even Sank. Their unique brand of steam-punkish indie rock and the occasional minor chord disco make Modest Mouse a fascinating act to follow and on their 6th LP Strangers To Ourselves they remain at odds with their own identity. For a band so explicitly unsure of their identity, there is a compelling confidence to Strangers to Ourselves. They rely a lot on their established guitar aesthetics but they have some new tricks too. The brash electro stomp and distorted vocals of “Pistol (A. Cunanan, Miami, FL. 1996)” doesn’t exactly sound like anything Modest Mouse has made before but I found myself nodding to myself thinking ‘yeah, this makes sense’ the first time I heard it. Same goes for the chaotic circus sound of “Sugar Boats”, though that track would have probably fit right in with their last album We Were Dead Before The Ships Even Sank. Its nice to hear a band succeed at trying new things this deep into an already well established career but its not what makes this record worth the time. The real joy of Strangers to Ourselves doesn’t come from the radical side shows. 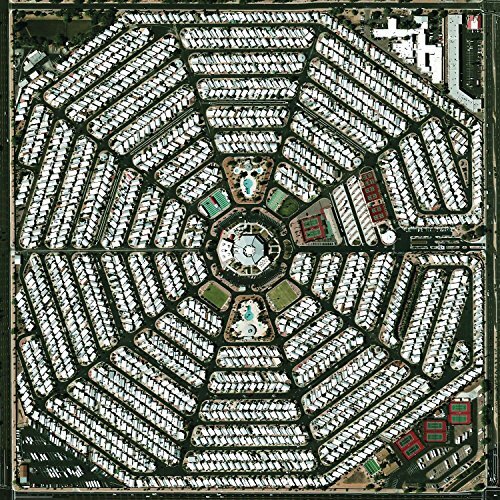 Songs like “Wicked Campaign” and “The Ground Walks, with Time in a Box” are fairly typical Modest Mouse tracks but now on the wrongs side of their career bell curve, their angst and strangeness feel more righteous than ever. They’ve been through the MTV machine, seen the MTV machine die and they are still standing. I have no doubt that this is a band that feels more comfortable having already ‘made it’ and slide back into semi-obscurity. They were never meant to sell out arenas or play the VMAs and this album seems undiluted by that level expectation. It shouldn’t have come as a surprise but the ultimately the greatest quality of Strangers to Ourselves is its modesty.